It’s been just over a month since Streaming Media magazine’s 2018 Streaming Forum event took place at London’s ExCeL. In our first post about the show, we took a whistle-stop tour through five of the most interesting insights we gleaned from the day, which included everything from superhero analogies to unbridled profanity. It was an interesting day, to say the least. Rounding out Streaming Forum this year was a panel exploring the future of OTT services, a discussion that included the views of Piksel SVP of Commercial, Clive Malcher. With NAB Show 2018 just around the corner and more speaking engagements on the horizon, it felt timely to look back in detail at Clive’s thoughts around the direction of travel for OTT streaming. Chaired by The Streaming Company’s Ben Kittow, the panel session posed questions pertaining to the business and technical challenges of OTT development or, simply, “what service providers need to do to stay competitive”. Here’s a summary of what Clive had to say. We’re in the middle of a content boom, and that isn’t going to slow down any time soon. As big players become increasingly global and invest in greater volumes of local-language content, niche players will continue to expand too, delivering a range of specialised content to affinity audiences. Over the longer-term, as those organisations look to make their content work harder, they’ll need to start thinking more about the data that sits behind it. Many are already doing that around viewing and churn analytics, but the expectation is that this data-driven approach will start to move back through the chain – all the way to commissioning. More content equals more competition, and with that will come a need for companies to become more agile and lean if they want to stay ahead. For traditional media companies, the prospect of hanging onto legacy workflows while managing OTT streaming as a separate bolt-on will become increasingly unpalatable. Technical ability will play a partial role in the shift towards agility, but organisational change will also be key – as workflows move together, new mindsets will be required. For organisations that try to make that shift in-house, some hard thinking about whether they have the right mix of skills to match these new ways of working will be required. Streaming technology has always been a complex area, lacking the level of standardisation that some organisations are used to. Now more than ever, though, there is no “one-size-fits-all” approach to technology, with specialist Systems Integrators needed to help build up chains of workflows. Metadata management will continue to become increasingly complex too, with solid data needed to underpin innovative new use cases like being able to pick up a remote control and ask it a question. Bringing data from myriad sources into one workflow will become key. Content may be king, but it’s no good having the greatest show on earth if you can’t get it to the end-user. Delivery needs to be flawless, and that now goes beyond things like quality and latency – instead, ubiquity will be key. 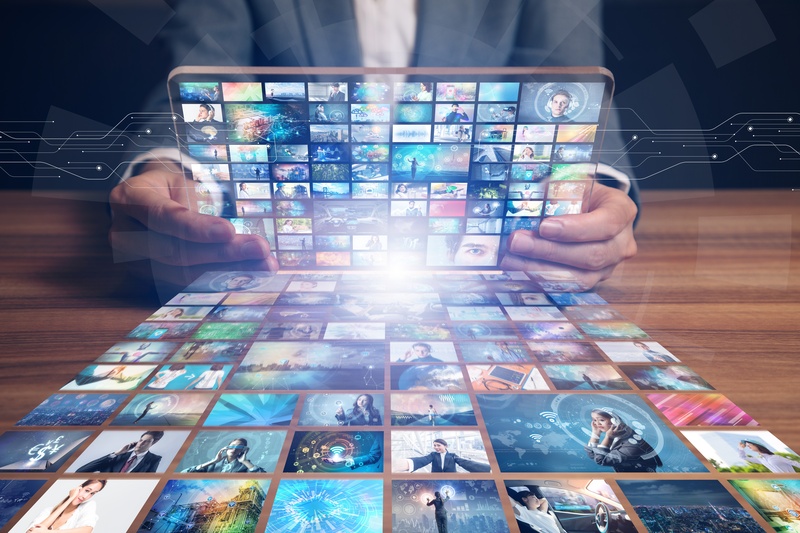 Viewers expect to get the content they want wherever and whenever they choose, and that means OTT providers need to be able scale every part of their offering to meet that demand. Having the most beautiful content stream doesn’t mean much if the parts of the package that deal with entitlement and authentication can’t deal with the load. Flawless delivery goes beyond just the stream, as well - from siting to latency, maximising the effectiveness of every part of the chain will be essential to meeting future demand.